Old Charm meets modern excellence. Beutiful family home, restored with modern touches. Hardwood floors, gourmet kitchen with high end appliances and cabinerty, quartz countertops. Great room with original wooden beams, 20ft ceilings, walk out t stone patio and private garden paradise, with a separate art workshop. Master bedroom with juilet balcony, original wide plank floors, walk-in closet. Master Ensuite with jacuzzi tub. Over 100K spent on renovations. 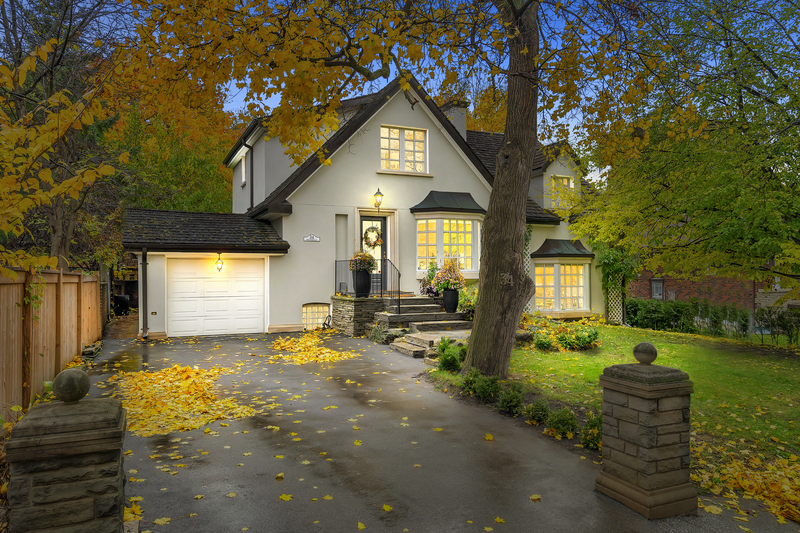 Nestled by the Humber River and 4 sprawling parks. Getting to the airport or downtown is easy, a short 10 minute walk to the Up express station. Want to learn more about 34 Riverlea Drive (Scarlett Rd and Lawerence Ave West)? I would like to learn more about 34 Riverlea Drive (Scarlett Rd and Lawerence Ave West).